I hope you had a good Easter. Mine was great. 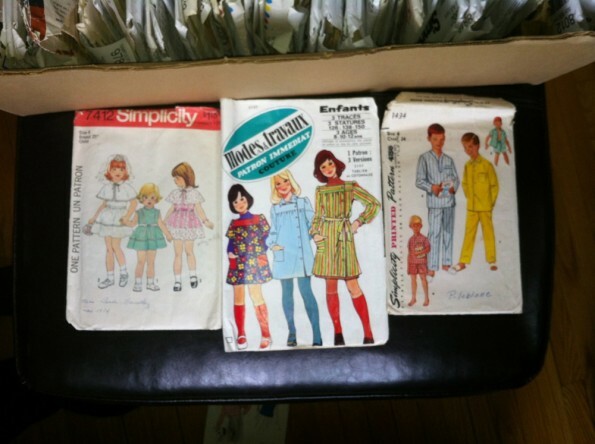 This year, the Easter bunny brought me vintage patterns! They are so much more exciting than chocolate and last longer too. Let’s take a look. Look at all those new patterns! I know! Soooo many patterns. A little while ago I posted an article on a bunch of patterns that my mother gave me. Well, my husband’s aunt saw the article and thought I might like her old patterns too. So generous! 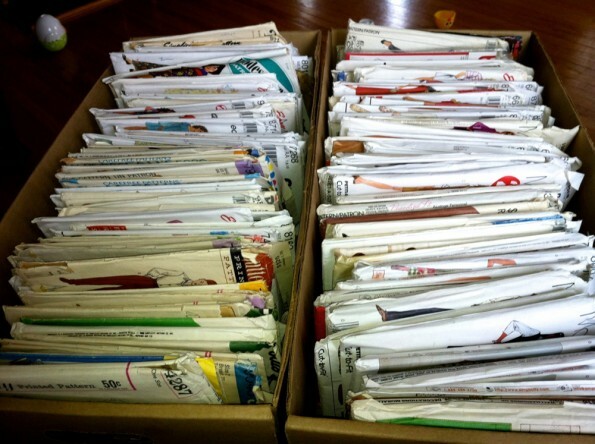 I can’t show them all, so here are the ones I’m most likely to sew. The blouse is Style 3351 from 1981. Next is a bias skirt, McCalls 3296, from 2001. Finally Simplicity 7254 from 1975, an apron. 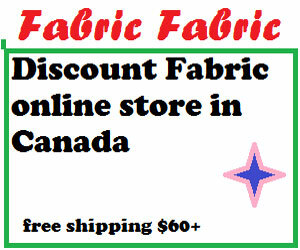 There is a nice blouse (Style 3351) from the early 1980s, but it’s got 1970s styling. 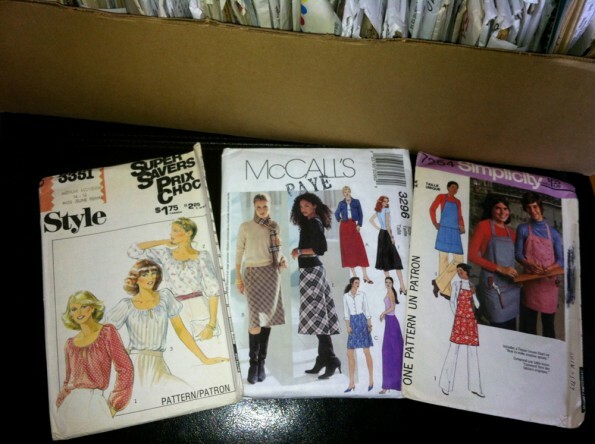 There is McCall’s 3296, which is a bias-cut skirt. There is also a fishtail version, but I think I’ll stick with the classic a-line skirt. Another good one is Simplicity 7254, an apron from 1975. 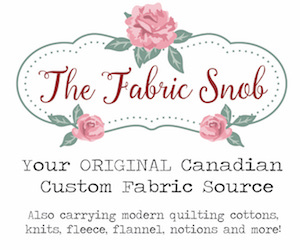 I can’t believe I have no apron patterns at all, and yet I am in need of an apron. 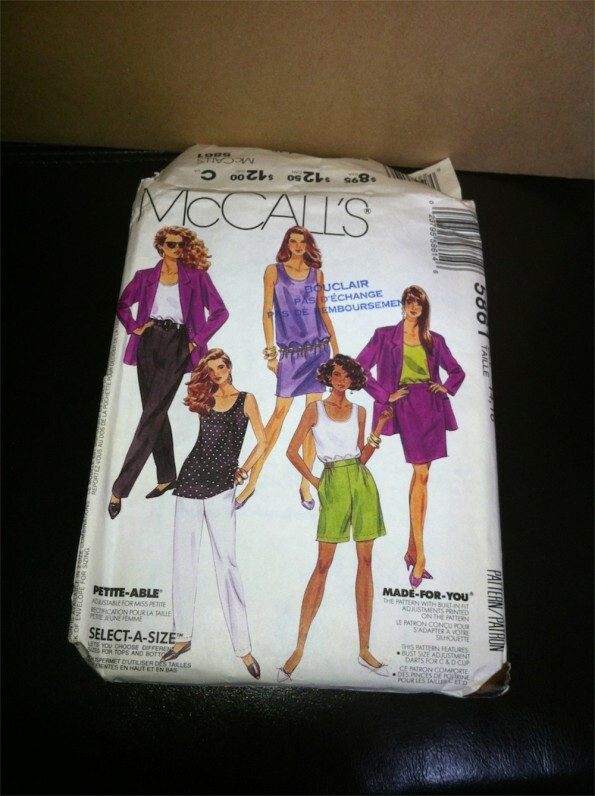 This is McCalls 5861, from 1992: jacket, tank dress or top, skirt & pants or shorts. This is another one that looks nice. McCall’s 5861, from 1992 includes a tank top and dress with Made-For-You A-B-C-D cup sizing. I think it might make a nice summer dress. Simplicity 7412, from 1976: child’s dress and capelet. A French jumper pattern from Modes et Travaux. Simplicity 1434; ca. 1955/56; boy’s pajamas in two lengths. But the real gems are in the children’s patterns. Here we have Simplicity 7412, from 1976. Clearly, it’s a first communion dress, but without the capelet (and maybe a bit more length) it’s quite cute. Then there is this French pattern for a jumper by Modes et travaux. And my favourite is the boys pyjamas. They are pull-on with no buttons! My kids are pretty allergic to buttons, and this pattern has a really nice, unique neckline. Butterick 7602: Quick & Easy boys’ & girls’ sport shirt. 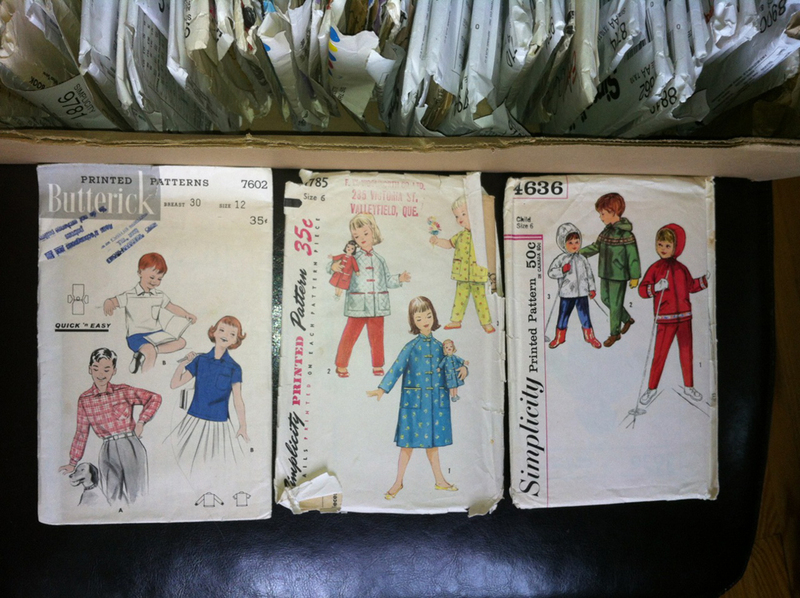 Simplicity 1785 Child’s Mandarin Pajamas, robe, and matching doll coat, from the 1950s. Simplicity 4636; ca. 1962; child’s hooded jacket and pants. And finally, these were the most unusual kids’ patterns. I’m not sure I’ll be sewing them, but the 1950s styling is interesting. 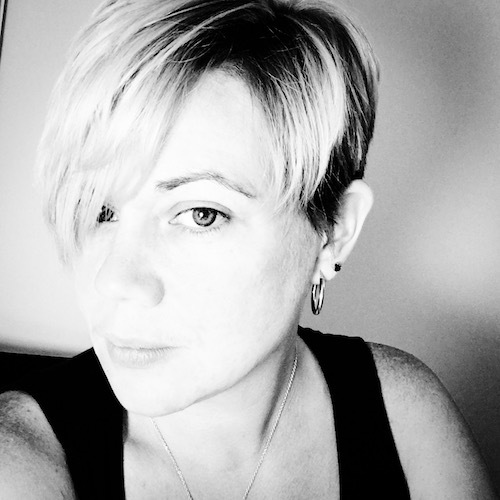 First there is Butterick 7602, a pull-on shirt. I’ve never seen a shirt with this type of neckline. Next is Simplicity 1785, a child’s mandarin pyjamas and robe. So 1950s! And finally a ski suit: Simplicity 4636. A big thank you to both the Easter bunny and my husband’s aunt (name omitted to protect her from the notoriety of sewing blog fame )!